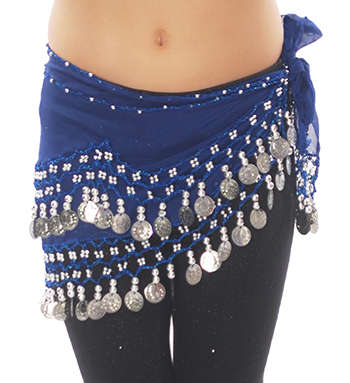 Purchased for my 10 year old grandaughter so she and her mother can belly dance together. She was thrilled with it. Doesn't have the sound a higher priced one has but it made her happy and serves the purpose! This is a perfect hip scarf for children. It's not so large that it falls off easily, yet it's not so small that she will outgrow it any time soon. My daughter is currently six years old; she will be able to use this item for her dance class for several years to come. (We love the selection of colors.) Great value and quality.